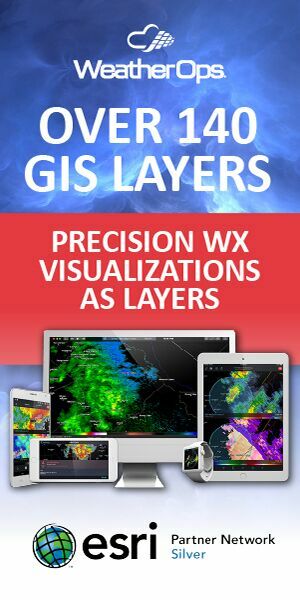 The Weather Research and Forecasting Model (WRF) is the mesoscale model of choice for researchers around the world. It also the model behind NCEP’s 3-km HRRR forecasts. Nearly two hundred researchers gathered for the annual Joint WRF/MPAS Users’ Workshop in Boulder, Colo., on 11–15 June 2018. As an example of the diversity of uses for WRF, one session was devoted to wildfire and smoke forecasting. 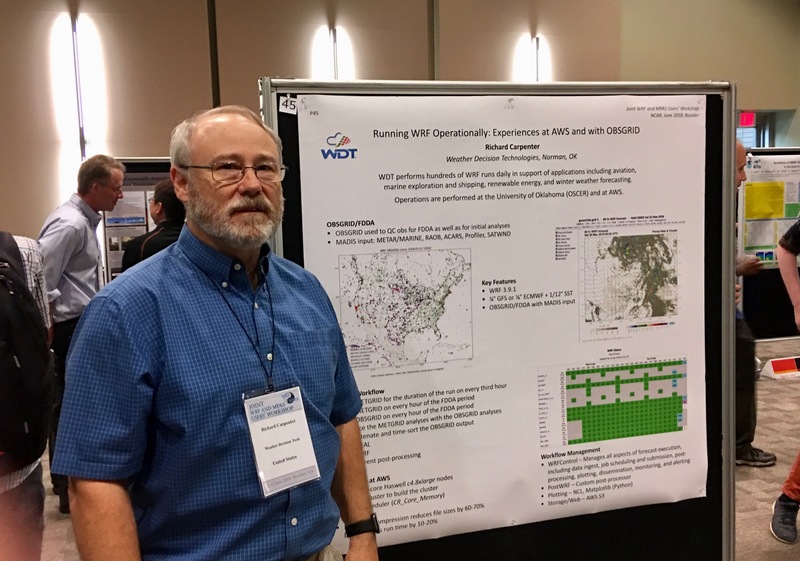 WDT’s Chief Scientist, Dr. Richard Carpenter, presented a poster on Running WRF Operationally at AWS Using OBSGRID, in which he described WDT’s computing environment for running WRF. This year marked the first joint workshop with the Model for Prediction Across Scales (MPAS), a global variable-mesh model on a (mainly) hexagonal grid. WRF and MPAS are closely related, with the former intended for high-resolution modeling and the latter for global modeling. A “Singletrack” effort is underway at NCAR that will unify these community atmospheric modeling efforts and increase overlap with other weather, climate, and geospacer science applications.